Detailing the physical features, habits, territorial reach and other identifying qualities of the Changeable Grass-Veneer. A long, furry snout and a flexible stretch while resting are hallmarks of the Changeable Grass-Veneer Moth. The Changeable Grass-Veneer likes to rest in a position that resembles a downward-facing dog yoga pose. Front legs are fully extended in front and lowered close to the surface. The tops of the legs are brown while the rest of the legs are white. Closed wings of the moth rise up in back. The brown wings have short zigzag lines on the posterior and the short palps are furry extensions in front of the face, giving them the appearance of a long nose or snout. 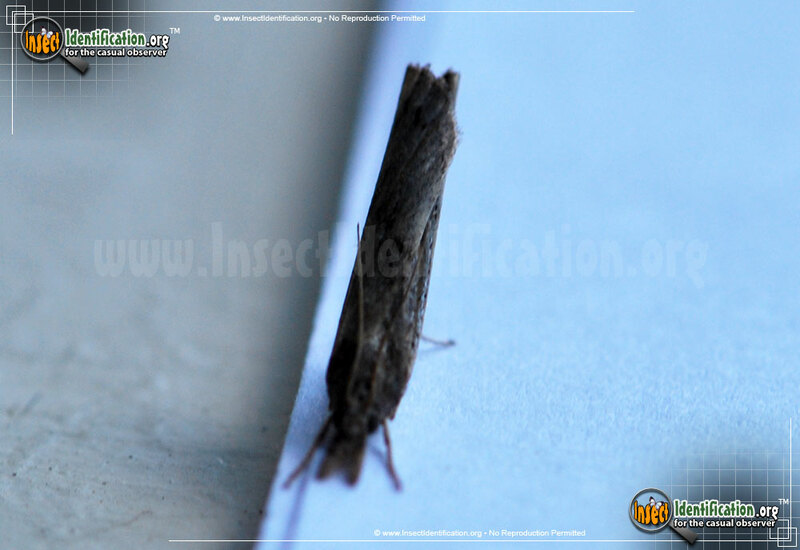 Grass is a common place to find this type of moth because its worm-like larvae feed on the leaves (blades). 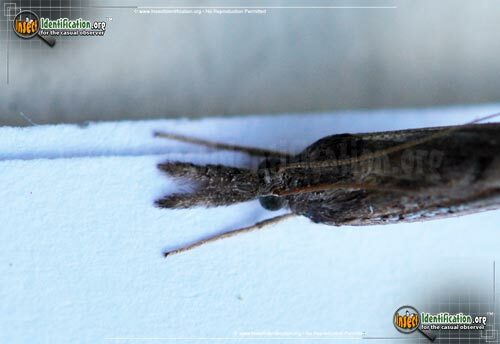 They are considered lawn moths for this reason. They are at home in backyards and golf courses as well as wild plains and woodlands. Extensive feeding or large numbers of larvae can damage turf, making them a pest to stadia, golf course, and groundskeepers trying to keep a clean, uniform lawn. 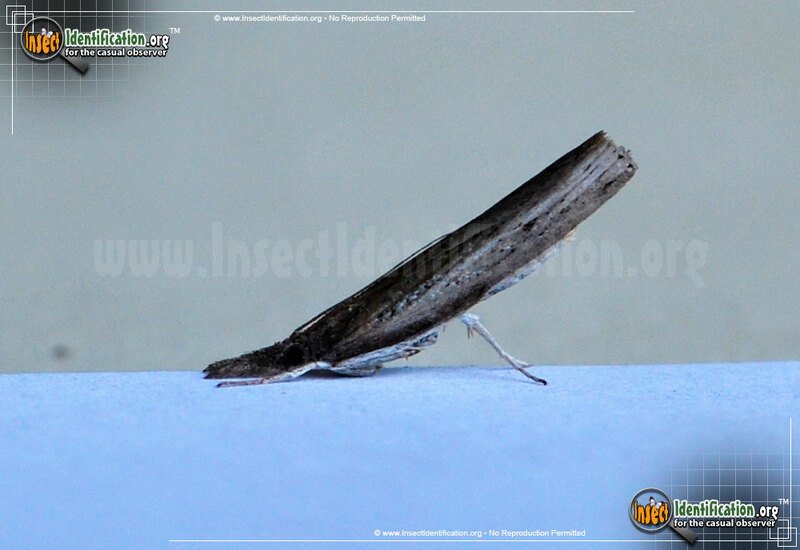 Their larval form even has its own common name: Striped Sod Webworms.